With Wrestle Kingdom 12 and New Year's Dash in the rearview mirror, New Japan Pro Wrestling has revealed the lineups for their next three major shows. NJPW will be in Sapporo for two New Beginning shows later this month and in Osaka for a third New Beginning event on February 10th. The Osaka show has the most loaded card of the three, with IWGP Heavyweight Champion Kazuchika Okada defending against SANADA, NEVER Openweight Champion Hirooki Goto defending against EVIL, Hiromu Takahashi challenging for Will Ospreay's IWGP Junior Heavyweight title, and Tetsuya Naito facing YOSHI-HASHI. There are also four title matches set for Sapporo. Hiroshi Tanahashi will put his IWGP Intercontinental Championship on the line against Minoru Suzuki on night one, and Togi Makabe, Henare & Ryusuke Taguchi will challenge for the Bullet Club's Six-Man tag titles. Kenny Omega defending his IWGP United States Heavyweight Championship against Jay White will headline on night two, and Roppongi 3K will get their Junior Heavyweight tag title rematch against The Young Bucks. Most of the big matches for this tour were set up at New Year's Dash. 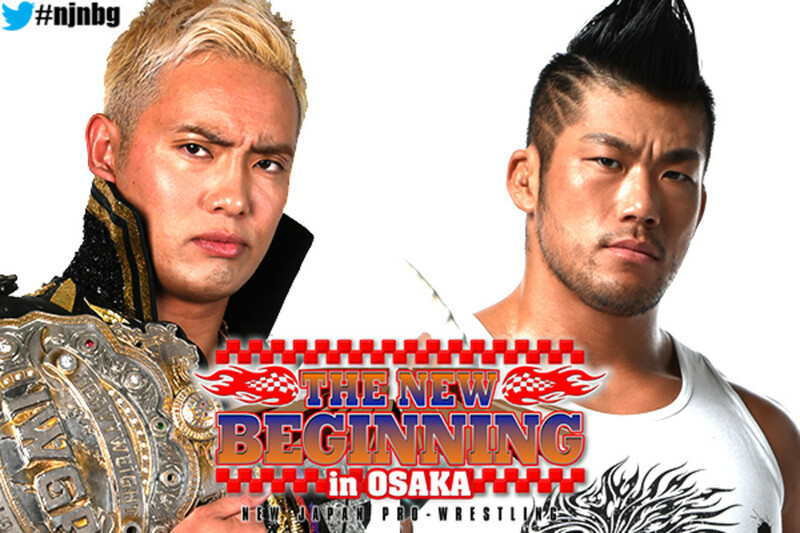 As part of the storyline where Okada accepted SANADA's challenge to a title match, Okada & Goto will be challenging for SANADA & EVIL's IWGP Tag Team Championship at a Road to the New Beginning show at Korakuen Hall on February 6th.